The ideal type of photo workflow that makes the Picture Style a core has evolved further, and “Picture Style Editor” has been created for the photographer who has more enthusiasm for the color expression. By deriving an ideal color from the shot image and registering the original Picture Style file, your color is integrated with EOS DIGITAL color. *The pf2 file made with Picture Style Editor comes to support only in a version after Digital Photo Professional Ver.3.1, EOS Utility Ver.2.1, Raw Image Task Ver.2.7. The color expressed in the picture consists of three elements of the color tone (Hue), thickness and vividness (Saturation), and brightness (Luminosity). It can be shown by the cubic body figure on the left. All the colors recorded in the photograph and the colors that you want to express can be arranged somewhere on this cubic body as a numeric value (coordinates). If you recognize the color's numeric value of the shot image and the numeric value you want to change, the color is controlled freely. 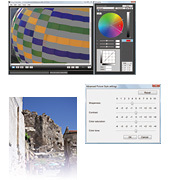 Picture Style Editor is the software that can make the minute control, and save it as "Picture Style file" that is easily usable in both the camera and a personal computer. Example of controlling the difference of red and yellow, without changing the overall contrast. 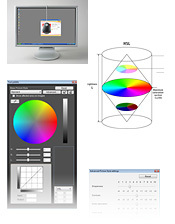 The degree of color change is understood when specific color is picked up and compared. Picture Style Editor can make detailed adjustments of tone correction. 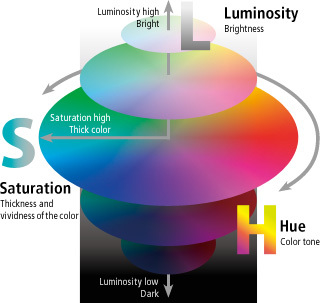 In the examples on the left, Hue, Saturation, and Lightness of yellow element has been changed quite radically. 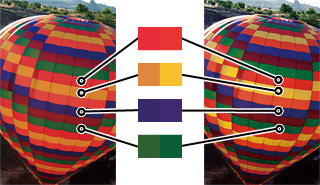 Consequently, the difference of balloon's red and yellow is emphasized while the overall contrast and brightness are maintained. Picture Style Editor links the color the photographer saw and the colors he wants to express with high accuracy. • Select the base Picture Style. Picture Styles open up new options by freeing the color reproduction function from the body of your digital camera. In order to make best use of Picture Style Editor, which enables you to tweak color reproduction to your choosing, we have prepared some detailed explanations. • Adobe, Adobe PhotoShop, and Adobe RGB are the trademarks or registered trademarks of Adobe Systems, Incorporated in the United States and other countries. • Microsoft and Windows are the trademarks or registered trademarks of Microsoft Corporation (USA) in the United States and other countries. • Macintosh is the trademark of Apple, Inc. (USA) registered in the United States and other countries. • Pentium is the trademark of Intel Corporation (USA). • Other company and product names described herein are the trademarks or registered trademarks of their respective companies.